A fire broke out at a school in Bristol, forcing it to close on Monday. Crews were called to Callicroft Primary in Patchway in the early hours of Sunday to a fire that had started outside the building and spread inside. Parents and pupils were told the school would remain closed on Monday because the fire alarm system, electricity and water supplies had all been affected. The school said the fire had caused some damage to the hall and an adjacent room. The cause is not yet known. 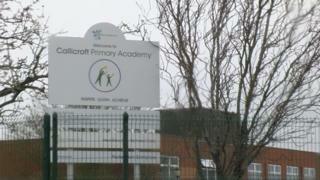 Callicroft Primary School is attended by about 350 pupils, aged 4 to 11.